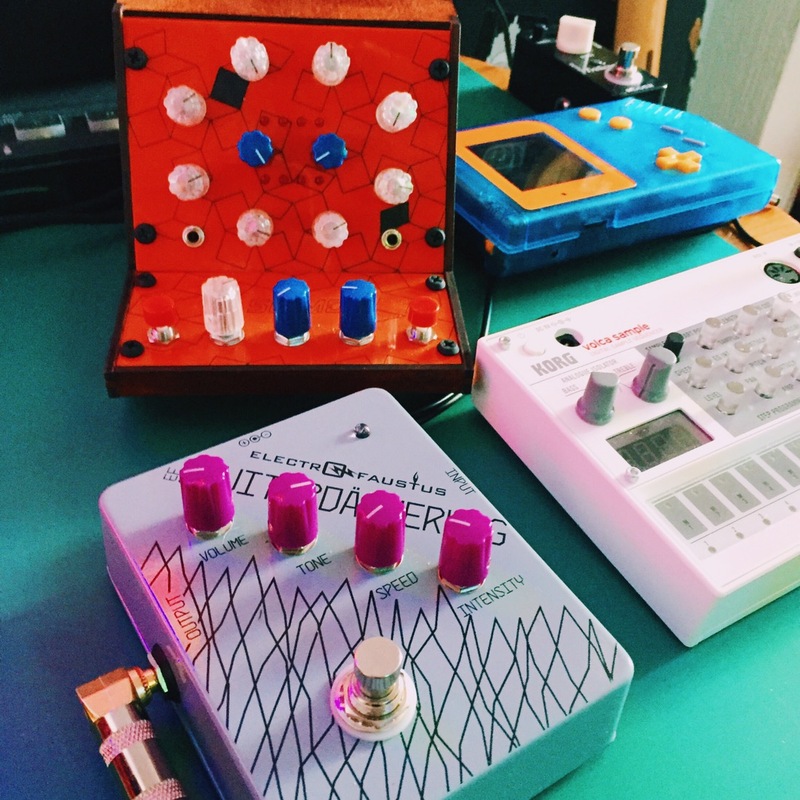 The name ‘noisepedals’ might give it away, but we love anything that makes unusual sounds. The weirder the better. For that reason, we’re particularly fond of Electro-Faustus. 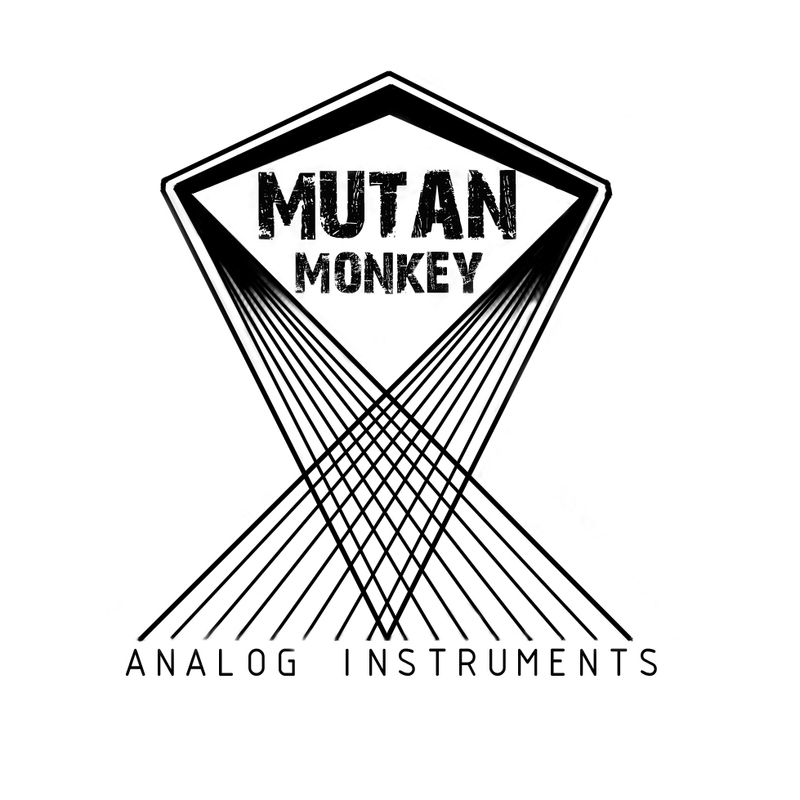 Based in New York, they are responsible for some of the most unique pedals and noise boxes around. Arguably one of the most interesting effects from the lovely EF chaps (and chappettes?) is the wonderfully titled ‘GUITARDÄMMERUNG’, which was released not too long ago. As much as it would be pretty fantastic if the pedal was named after a play by Elsa Bernstein (whoever that may be), it seems safe to say that it probably isn’t. Thankfully, the Electro-Faustus website confirms that it is indeed meant to be the first one. I really love the look of the GUITARDÄMMERUNG. The grey/purple combo, along with the typeface gives the feel that it wouldn’t be out of place in a post-apocalyptical world like Fallout 4… and those diagonal buttons! The world needs more interesting knob arrangements. 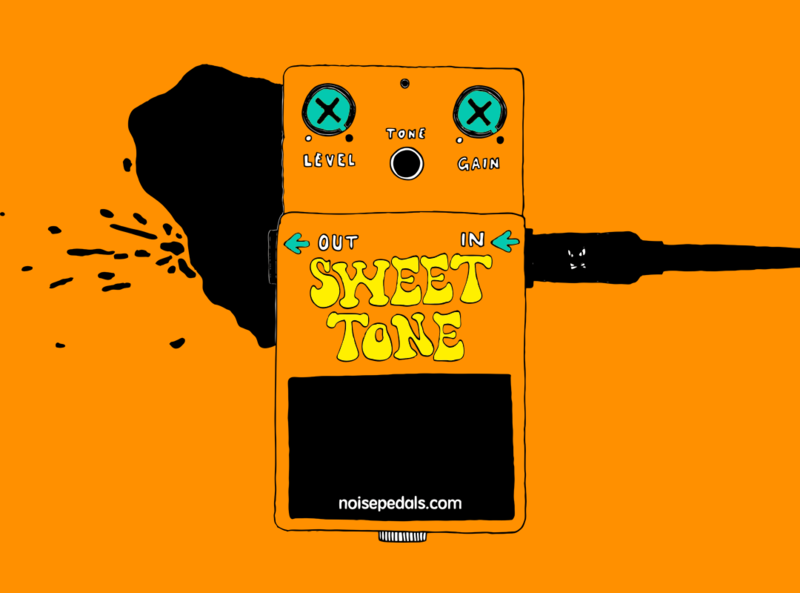 This is probably the toughest pedal I’ve ever had to describe. It’s nuts. …which is actually pretty spot on. The effect is like nothing else I’ve come across, which is exactly the sort of thing I love most. This isn’t just the end of guitar… couple this with the right combination of other instruments and effects and you could risk the end of the world. With the intensity dialled down, there is a glitchy sort of fuzz effect, which has a really sharp drop off point. As the knob is turned clockwise, the signal begins to break out with zaps like you would find when tuning an AM radio. At its most extreme, it devolves (evolves?) into high pitched synth-like squeals, which can get seriously wild. You can hear what that sounds like in the below track, where it’s been used on the drums (prime example around 14 seconds in). above track is an unexpected bowtie remix of a Closet Organ song – ‘Paul is Dead’. All of this is heavily dependent on the signal that you feed into the pedal in the first place, with both volume and tone altering the level and kind of chaos that ensues. 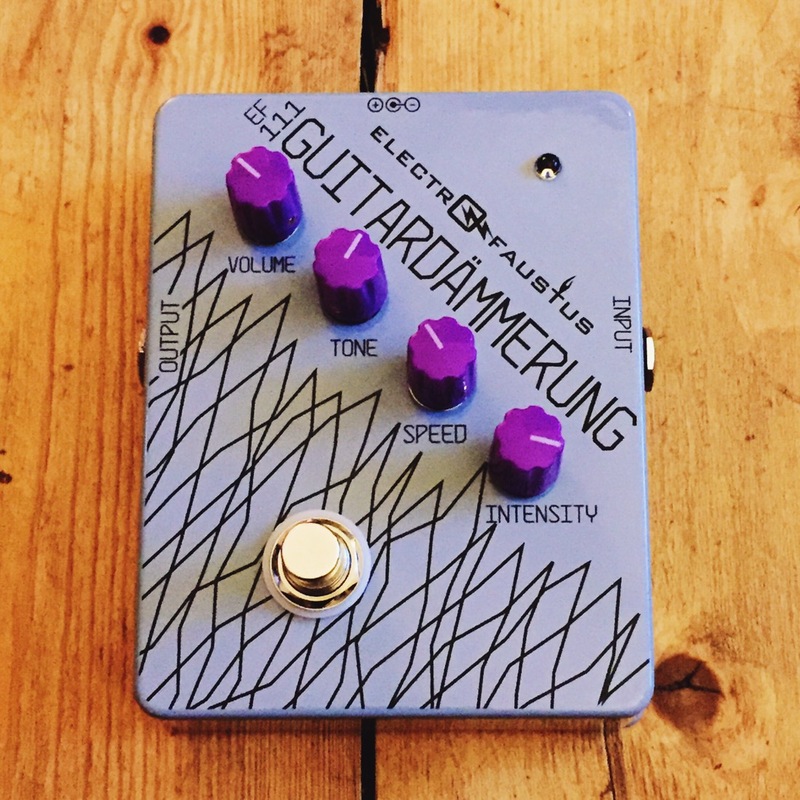 Given the gated nature of the effect, there is no real sustain to speak off when the GUITARDÄMMERUNG is used on its own, but if you feed in a noisy fuzz pedal before it in the chain, the buzz will keep the effect going, and make it do some crazy and unpredictable things – perfect as a noise box. In the video below we look at using the pedal with a synth from Sismo in Brasil, a Game Boy playing bass notes, and some drums via a Korg Volca Sample. It gets weird pretty quickly. This thing is nuts! Where can I get one?! This isn’t the sort of pedal that you’ll find a use for in every track, but it produces sounds that you won’t find anywhere else – and that’s what makes it so appealing. It’s one of a kind, and is great fun to play with for the noise-makers. Personally, I really like the fuzzed out feedback that can be used to add depths to otherwise ordinary guitar recordings. Electro-Faustus devices seem to be selling out pretty quickly all over the place, and it’s not clear how many of them will be made in total, so you should probably get your hands on one sooner rather than later if you are interested. Our pals over at fuzzmonster.dk have them for sale. Say hi from us! I’d be very surprised if the name isn’t a pun on Götterdämmerung (Twilight of the Gods), part of Wagner’s Ring Cycle operas. 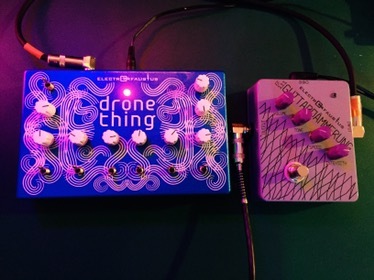 Cool pedal – a really awesome combo with the equally cool Sismo. Great demo! I didn’t know that! That’s some cool trivia, thanks for sharing man!